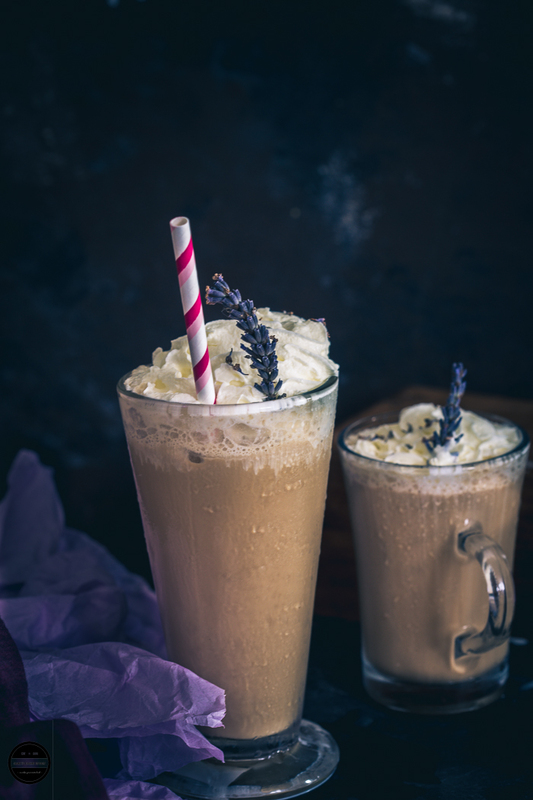 Lavender Frappuccino, a floral flavoured Frappuccino, perfect for the summer, an instant recipe for when that craving hits. A few days ago, I and my family went to the Mayfield Lavender Farm near London. Lavender fields seem to have taken over Instagram recently, with all visitors hoping to get the chance of that perfect selfie! 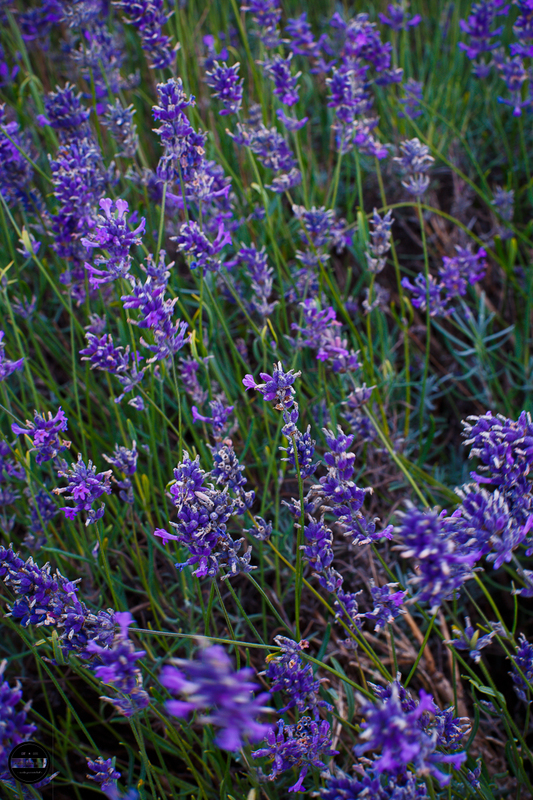 Going to a lavender farm immerses all of the senses of all things Lavender. The aroma hangs in the air and the beautiful purple hue stretches out all around you! Now, you can't go all the way to a Lavender farm without sampling the delicacies on offer at the cafe. In the steady sunshine, the Lavender frappuccino stood out. Even as a uni student, I've managed to avoid needing the caffeine kick before lectures and exams - yet! Coffee for me is synonymous with catching up with friends. A quick text to see who is free to spend the next few hours chatting away. We love to find quirky coffee shops, trying different places each time. 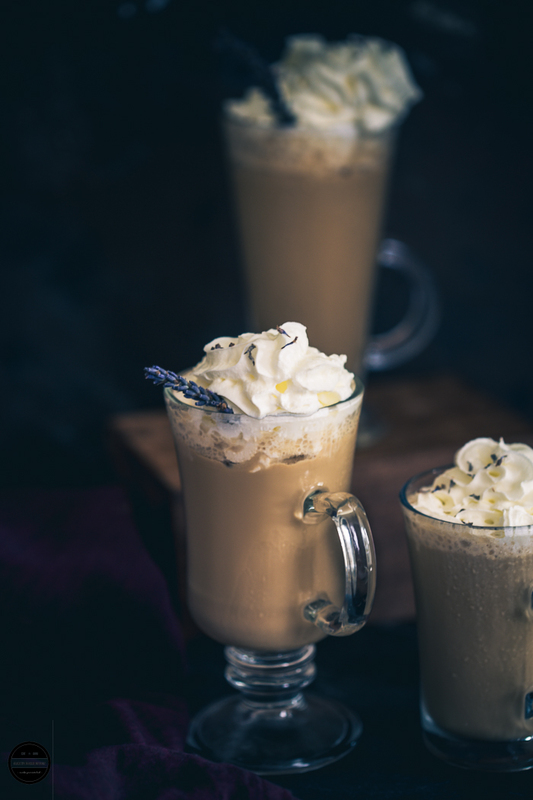 However, when these coffees are so easy to recreate at home, you don't always need to go out. And a good old gossip can be done anywhere! My mum bought lavender syrup to take home. I asked her if she had made any plans to use it yet, and when she hadn't, I set about making the frappuccino. A floral flavoured Frappuccino, perfect for the summer, an instant recipe for when that craving hits. 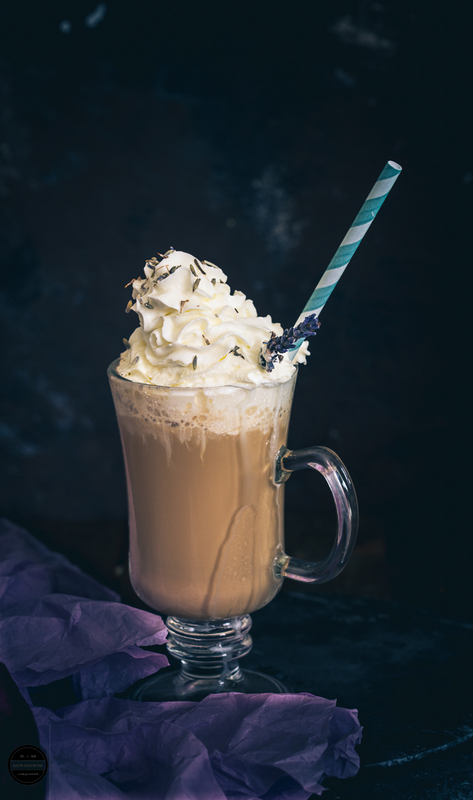 Dissolve the instant coffee in a little warm water and let it cool.Blend all of the above ingredients apart from the squirty cream and dried lavender. 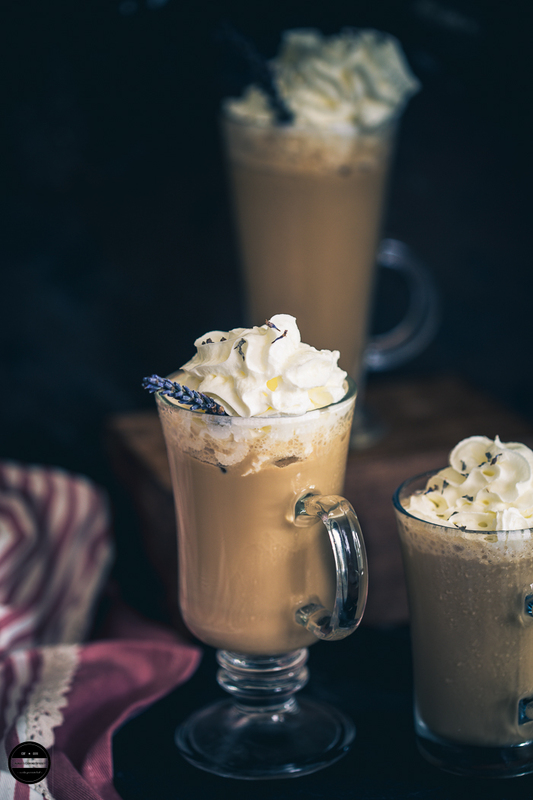 (adjust the lavender syrup to desired taste and sweetness)Pour coffee mixture into desired glass and top with squirty cream and garnish with dry lavender. What a lovely way to start the day! Love the addition of lavender syrup - so creative. Pinning! I love a frappachino, but I have never had lavender in it. It sounds lovely and summery though. Oh gosh these look lovely. 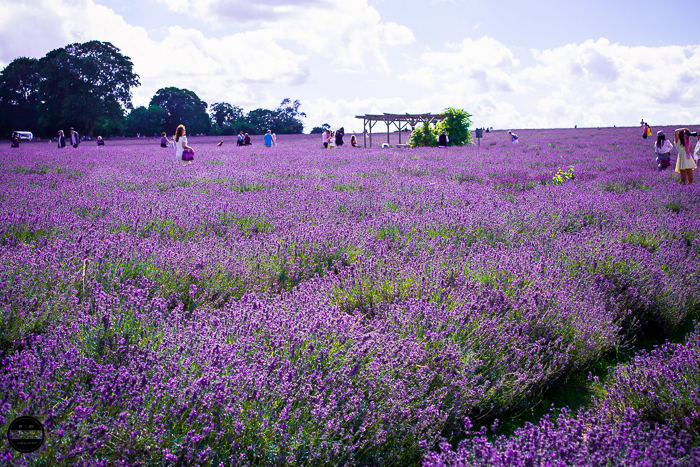 I love going to Lavender Farms, I passed one in Norfolk yesterday and now I'm really regretting not going in! I love visiting the lavender farm near us and have used it in all sorts of cakes and bakes but never a drink! This looks lush! 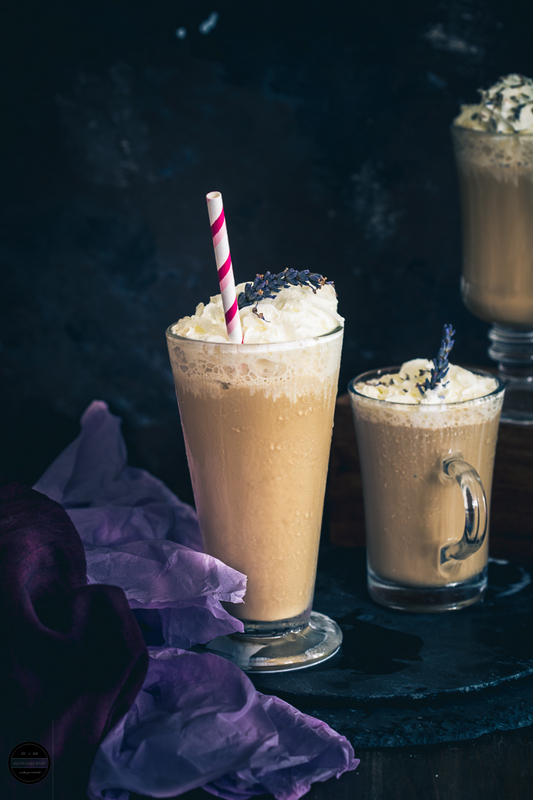 Lovely frappachino, and the addition of lavender is making it so exotic, have to try this. I am excited to try this when my daughter is in town:) We have a lot of fun making these drinks. Thanks so much! Looks like breakfast and dessert to me. Lavender syrup is such a nice idea. Yum! Thats a nice twist to coffee! Lavender in coffee is interesting and clicks are awesome! The only place I can find lavender is tucked into my blend of herbes de provence -- such a shame because it has such a deliciously herbal aroma. I would never have thought about using it like this! Drink looks so exotic. Cant wait to try this. This must taste awesome!! Slurrpppp!! That sounds like an interesting flavour combination, lavender seems to be undergoing somewhat of a resurgence at the moment. Beautiful photos and delicious looking frappuccino! Gorgeous! I love picking up fresh lavender at the farmers market. Now I know what to do with it! Oh my!! This looks so yummy for this hot weather!!! We grow lavender in our garden and we love the smell. I haven't tried lavender and coffee flavours together, sounds interesting! Wow, would never have thought of lavender with coffee, but I want to try it. Your frappucino looks so good, love the styling! This sounds so fabulous! There's a local coffeeshop that makes a lavender latte that I'm obsessed with, and I keep meaning to re-create it but haven't gotten around to it yet. Love the frap idea! What a great idea to add lavender to a drink An interesting concept! Wow wow wow wow! What a wonderful cup of coffee/dessert/treat!! What an interesting combination and one I would never have thought to put together! A lavender farm was on our list this year but unfortunately the weather wasn't the best. The plan was to take family photos in it. On my wish list is to visit a lavender field. Your clicks are so beautiful. I'm sure the lavender frappucino must have tasted heavenly. Was wondering if I could replace the syrup with some dried lavender?